Add a touch of elegance to your Christmas dinner table with our personalised table runners. 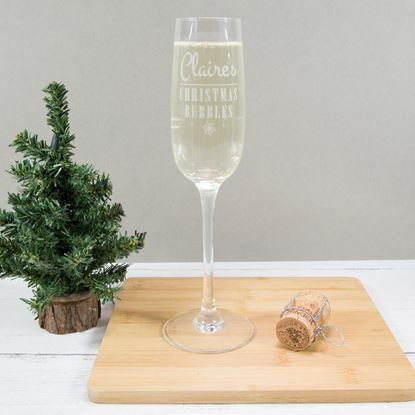 Get in the festive spirit with our gorgeous white Christmas flutes. 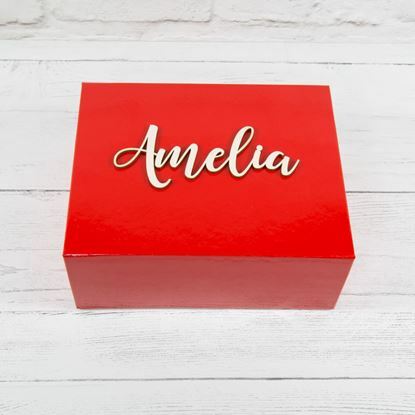 Perfect for prosecco or champagne and available in 3 different designs. 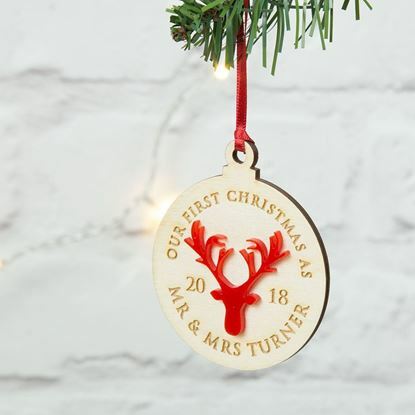 If you are celebrating your first Christmas and man and wife, our wooden personalised baubles make the perfect addition to your tree this year and a great keepsake for the future. 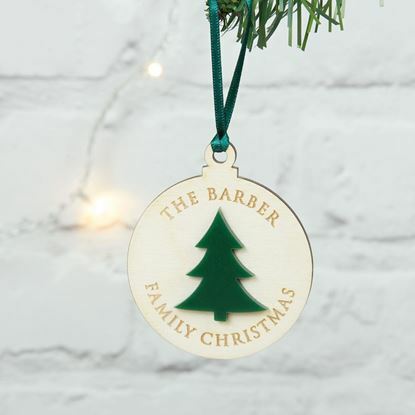 Our cute family wooden bauble is a great way to add a subtle personalised decoration to your tree and can be reused year after year. 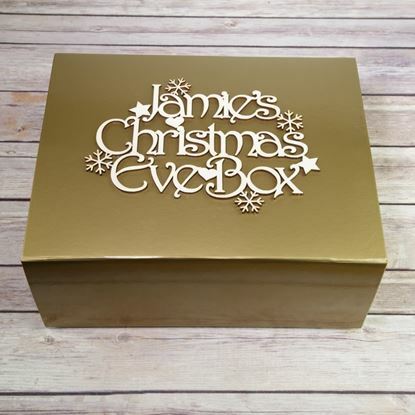 Our empty Christmas Eve Box is ready for you to fill with your child's favourite goodies! Get everything you need for a magical Christmas Eve with our Christmas Eve box bundle, and save over 10% on buying them all individually. 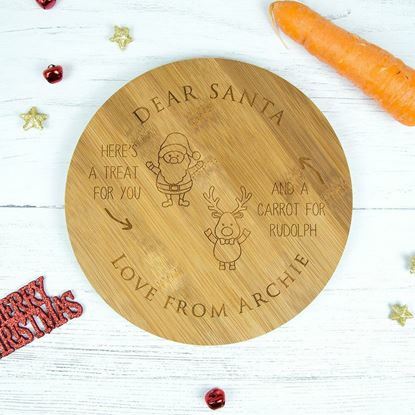 Our take on the traditional santa plate is made from bamboo and engraved with the name of your child/children. 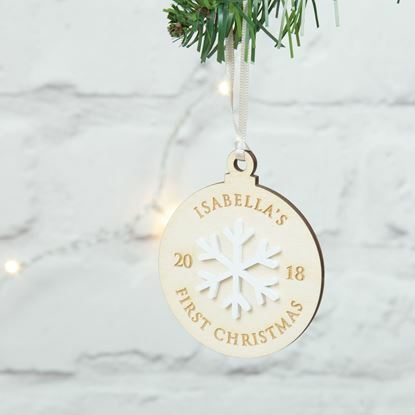 Our lovely personalised Christmas Bubbles glass comes etched with your name. Perfect for champagne or prosecco lovers! 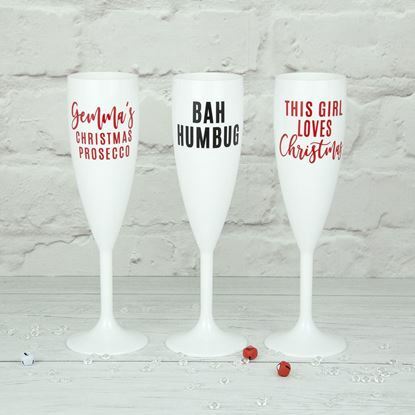 If you plan on enjoying lots of lovely bubbles this Christmas then this glass makes the perfect gift. 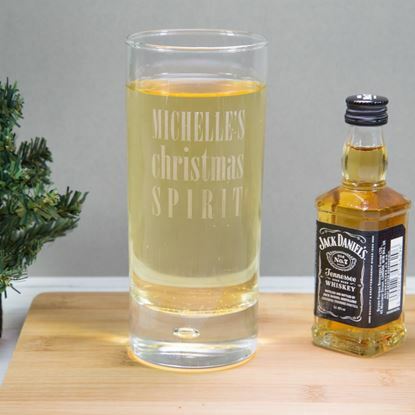 If you think you'll need a stiff drink or two to get you through the Christmas season, our personalised "Christmas Spirit" glass is the perfect way to wind out after the stress of Christmas season. 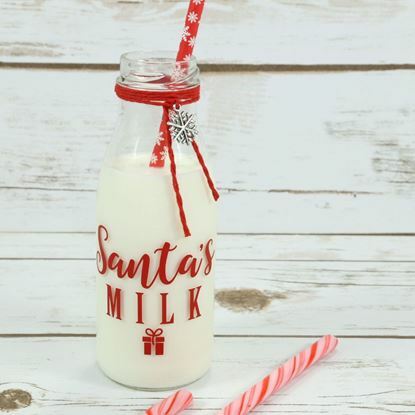 A cute milk bottle for leaving a drink out for Santa on Christmas Eve. Finished with red twine and a cute snowflake charm. 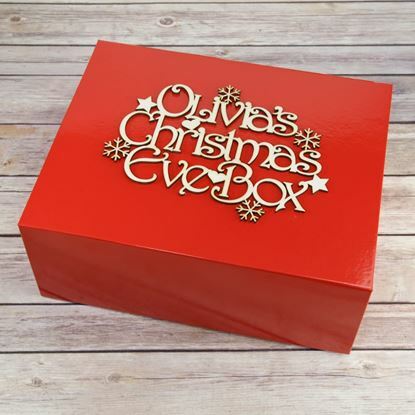 A cute mini Christmas Eve box, the perfect size for small gifts or small people! 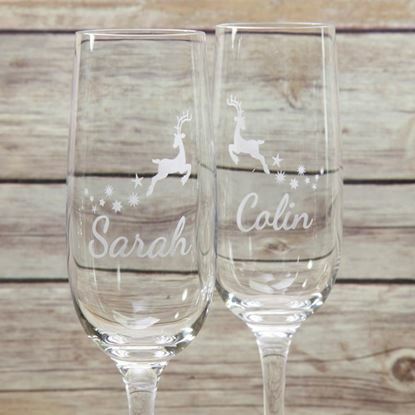 Our cute Christmas bubbly glasses come personalised with your name and a cute reindeer and stars etched too. 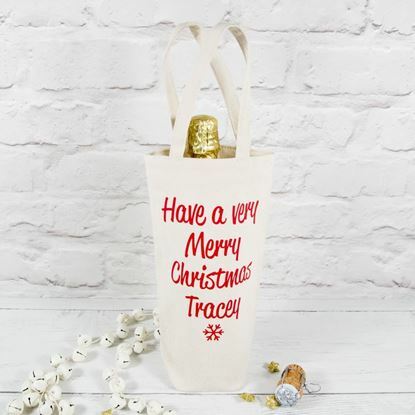 If you are looking for something a bit different to package up your prosecco, wine or champagne gifts this year, our personalised cotton canvas bottle bags make a great gift and are sure to impress.